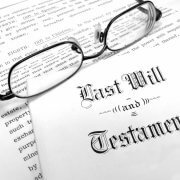 Probate litigation articles include information about how to challenge a will, how to take a spousal share and issues of undue influence. Is Florida Deporting Undocumented Immigrants Who File Workers Comp? https://cdn.askthelawyers.com/wp-content/uploads/2017/08/28092944/iStock-653217366.jpg 836 1254 AskTheLawyers™ https://www.askthelawyers.com/wp-content/uploads/2018/05/Asset-2-300x40.png AskTheLawyers™2017-08-23 08:27:332017-11-09 14:54:16Is Florida Deporting Undocumented Immigrants Who File Workers Comp? Can the creation of guardianship by a parent be challenged? https://www.askthelawyers.com/wp-content/uploads/2018/05/Asset-2-300x40.png 0 0 AskTheLawyers™ https://www.askthelawyers.com/wp-content/uploads/2018/05/Asset-2-300x40.png AskTheLawyers™2013-09-20 10:52:442017-09-14 19:24:25Can the creation of guardianship by a parent be challenged? 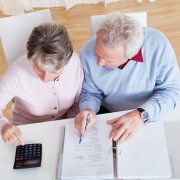 Can a will reduce Estate taxes? https://www.askthelawyers.com/wp-content/uploads/2018/05/Asset-2-300x40.png 0 0 AskTheLawyers™ https://www.askthelawyers.com/wp-content/uploads/2018/05/Asset-2-300x40.png AskTheLawyers™2013-09-20 08:16:452017-09-14 19:25:14Can a will reduce Estate taxes? Are last minute Wills or ‘Death-bed Wills’ valid? https://www.askthelawyers.com/wp-content/uploads/2018/05/Asset-2-300x40.png 0 0 AskTheLawyers™ https://www.askthelawyers.com/wp-content/uploads/2018/05/Asset-2-300x40.png AskTheLawyers™2013-09-19 16:15:142017-09-14 19:25:15Are last minute Wills or ‘Death-bed Wills’ valid? https://www.askthelawyers.com/wp-content/uploads/2018/05/Asset-2-300x40.png 0 0 AskTheLawyers™ https://www.askthelawyers.com/wp-content/uploads/2018/05/Asset-2-300x40.png AskTheLawyers™2013-09-19 15:07:212017-09-14 19:25:15Are conservators paid?